Here is today's tornado risk. The green area is the significant risk threshold. 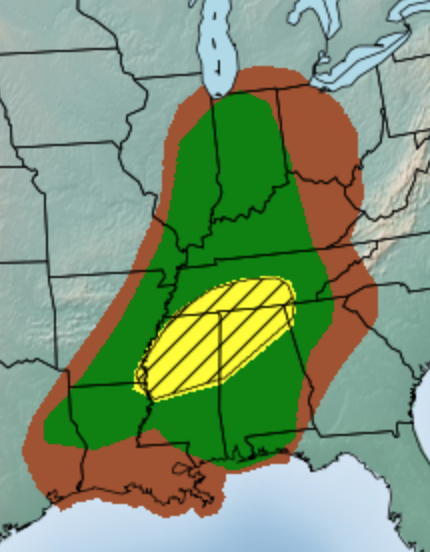 The yellow is the enhanced risk and the hatching means there is a chance of strong tornadoes. Beware accordingly!